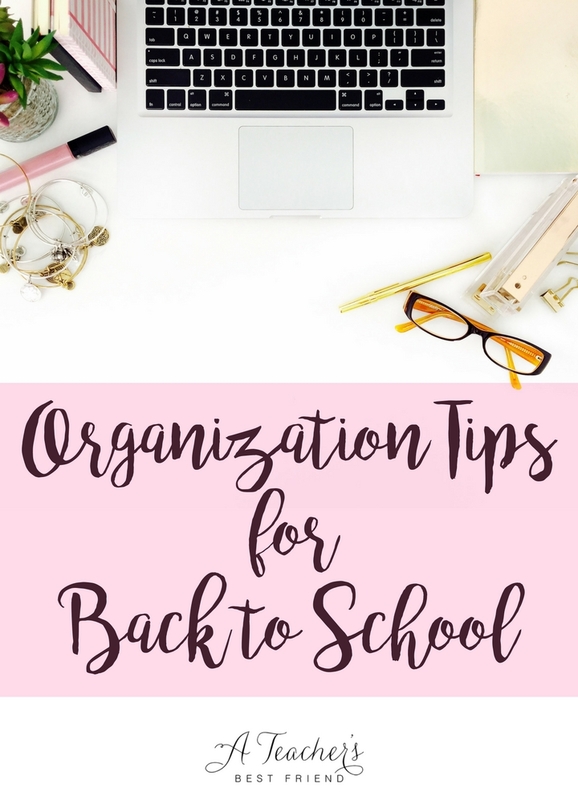 Last year during back-to-school season, I wrote a post that got lots of hits on staying organized. So I decided to update it with some of the new tricks and hacks I learned this year! Enjoy!! 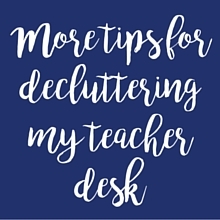 On the contrary, having organized spaces and systems (at home and school) can reduce the amount of time and energy you expend on lesser-important tasks so that you can redirect that energy and keep it focused on your students, family, and self! These organization tips for back to school will set you up for success! What is your routine for keeping your family schedule straight? A shared calendar app? A large whiteboard in your family command center? Declutter your system/process. What is part of your system now that isn’t working? What isn’t necessary about the process? For example, in order to cook healthy meals, your system may include meal planning, creating a grocery list, grocery shopping, and food preparation. Consider if anything about your system is unnecessary (or able to be changed). In this example you may want to make sure you do the meal planning and grocery list, but could have someone else do the grocery shopping or use a delivery service (some of which are free depending on how much you buy). You also may clip coupons and do other things as part of your process. You should consider how much each part of your system/process is costing you in terms of time and energy. Declutter any part of your system that isn’t worth it’s cost. Feedback on Student Interactive Notebooks: I loved student interactive notebooks and I used my rotating system (similar to above) for providing feedback. All of my students had numbers which I used for a lot of things throughout our school day. But at the end of the day, I would call out five student numbers and those students had to bring me their notebooks. After school, I would go through all that they had added to their notebook since the last time I collected it and provide quality feedback. It helped me to really dig in and provide specific and encouraging feedback, but not trying to tackle ALL of my student notebooks at once. In my classroom, I was able to get to each notebook once a week. Tending Lists: We start the school year with so many goals and ideas – but then life and busy-ness get in the way and months will go by in the blink of an eye. This year, I discovered an awesome resource I want to share with you – POWERSHEETS! (Get them here) These powersheets are a powerful goal-setting tool PLUS an incredible system to help you reach your goals with daily, weekly, and monthly checklists (all on one page!) I’m obsessed. My powersheets for the month is always out on my desk to remind me to stay on task with my goals. Whether you fill these out for your professional life, your teacherpreneur life, or your personal life (or all three combined) – they will be a good reminder to stay intentional with your time. Good Enough Schedule: If you didn’t read my post last week on your “good enough” schedule, be sure to check it out! 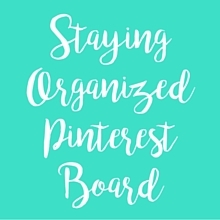 This system will help you stay intentional and organized with you time!! Read it here. 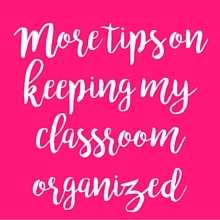 Pinterest: Check out more classroom organization systems on my Pinterest Board!!! And comment with your ideas below so I can add them to this list! Freezer to Crockpot Meals: One new addition that makes my life run MUCH smoother this year is the discovery of freezer to crockpot meals! These are meals that I can prep on the weekend, throw in the freezer, and then the morning of, I stick them in the crockpot! Boom!!! They are ready to go right when we all get home from our busy days!! #MomForTheWin! Check out this resource for tons of recipe ideas: www.NewLeafWellness.biz. House Chores Chart: When my daughter was born and I went back to work, I realized I did not want to be spending my whole weekend doing chores when that was my only opportunity to do fun things with her and my husband. So I created a chore-chart (actually it was a foldable – I know…teacher nerd!) I wrote down all the chores I wanted to do each week, then I just divided them up throughout the week so I only had to do 10-15 minutes of chores each night rather than 1-2 hours on the weekend. It was one of the best things I’ve done to keep my house running smoothly, and it’s now just part of my nightly routine after my daughter goes to bed. It takes a few minutes and then I’m done! And best of all, I’ve reclaimed my weekends!